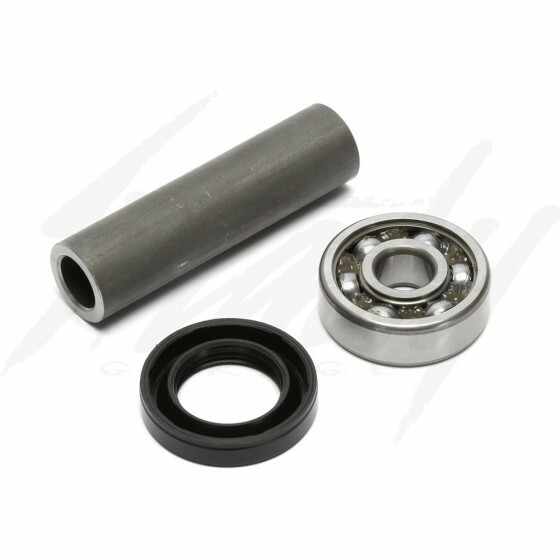 OEM Honda wheel bearings, spacers, and seals for Grom 125! Comes complete with enough parts for the front and rear rims! Perfect for those who are planning to powdercoat or plate their OEM rims OR purchased a set of aftermarket Grom rims without bearings. All parts are OEM Honda, the same bearings that comes installed onto the OEM rim, this kit is exactly that! Comes with everything you would need to install a new wheel set or to replace the old ones that you've damaged or removed from the OEM rims.